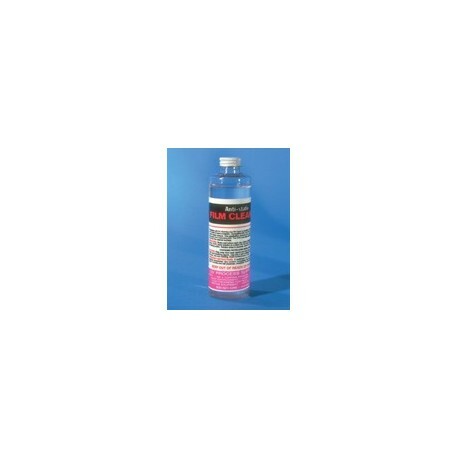 This STATIC ELIMINATING FILM CLEANER is completely safe for cleaning any film base or emulsion. Dries extremely fast, won't streak or leave a residue. Compatible with, and will not dissolve or remove, a water based opaque. One quick application and wipe removes dirt, grease, fingerprints and tape marks from expensive film. The anti-static action keeps dust and dirt away from the cleaned surface. Packaged in 8 oz bottles, 25 bottles to a case.